Amitabh Bachchan to play Sunil Dutt in Sanjay Dutt’s biopic? Director Rajkumar Hirani is in talks with Amitabh Bachchan to play Sunil Dutt in Sanjay Dutt's biopic. The makers are in plans to rope in Amitabh Bachchan to reprise Sunil Dutt in the movie. Director Rajkumar Hirani, who is riding high on the success of the recently released movie ‘PK’, has already started working on his next venture. The next project is apparently the Sanjay Dutt biopic for which Ranbir Kapoor was zeroed in to play the lead. Reports now say that the makers are in plans to rope in Amitabh Bachchan to reprise Sunil Dutt in the movie. Sanjay Dutt has always considered Abhishek Bachchan as his younger brother and Big B as a father figure. So when the question about the cast for Sunil Dutt’s role turned up, Big B’s name was a unanimous thought. Rajkumar Hirani has already approached Ranbir Kapoor to play the lead character in the biopic and the actor showed keen interest in playing the character. “Portraying Sanjay sir on screen is a big task. And it comes with a huge responsibility. He’s had a very entertaining, engaging, and a roller-coaster kind of a life. I think Raju sir himself hasn’t decided if he wants to do it or not,” Ranbir had said earlier. The shoot of the movie is slated to begin once Sanjay Dutt is set free from jail. 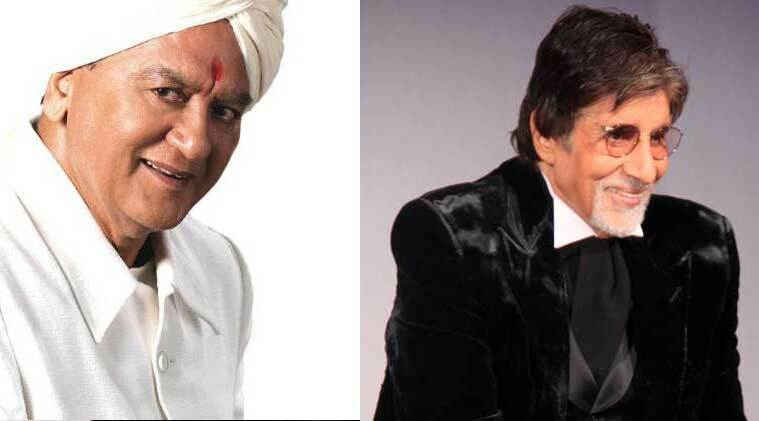 Amitabh Bachchan to play Sunil Dutt in Sanjay Dutt's biopic?